Home / aircraft / aviation / METAR / Weather / What is METAR and how to decode it? What is METAR and how to decode it? In Aviation, weather plays a very important role in day to day operations. In fact, a pilot needs to check whether several times during the different phases of flight. 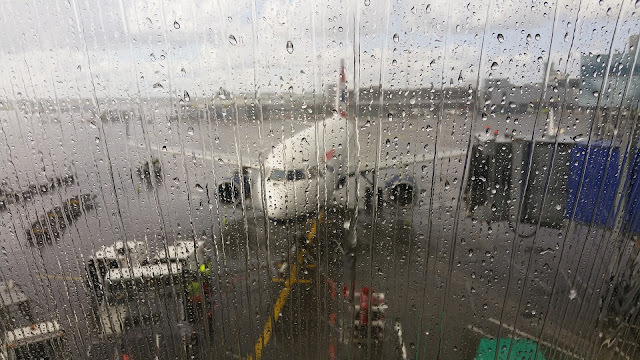 Before the airplane is ready to leave the gate, he/she always checks the weather at the arriving and departing aerodrome in the pre-flight briefing. If they feel that the weather at and around the airport is not suitable for flying, they might decide not to operate the flight or even divert to their alternate aerodrome. In aviation, the weather information of an aerodrome is broadcasted in a report called METAR (Meteorological Aerodrome Report). They are published in a fixed format which is common all over the world. METAR is a string of abbreviations which denote various weather conditions around the aerodrome. You can learn all the METAR Abbreviations by referring to this document. With the help of this document, let us take an example of METAR of Chennai International Airport and decode it! 13 - Day of the month. 1530Z - Time of observation. A SPECI is a special report of meteorological weather conditions which is issued when one or more conditions match the specified criteria significant to aviation operations. It is also used to identify reports which are recorded ten minutes after an improvement to the SPECI conditions. Direction changed by 30 deg when the average speed is 20 KT or more. When any of the weather phenomena such as thunderstorms, hail storms, sandstorms, dust storms, etc are reported in high intensity. When cloud cover (broken or overcast) is below the minimum operable limit of the aerodrome.